The easiest way to spice up a simple fall look? Add a scarf! 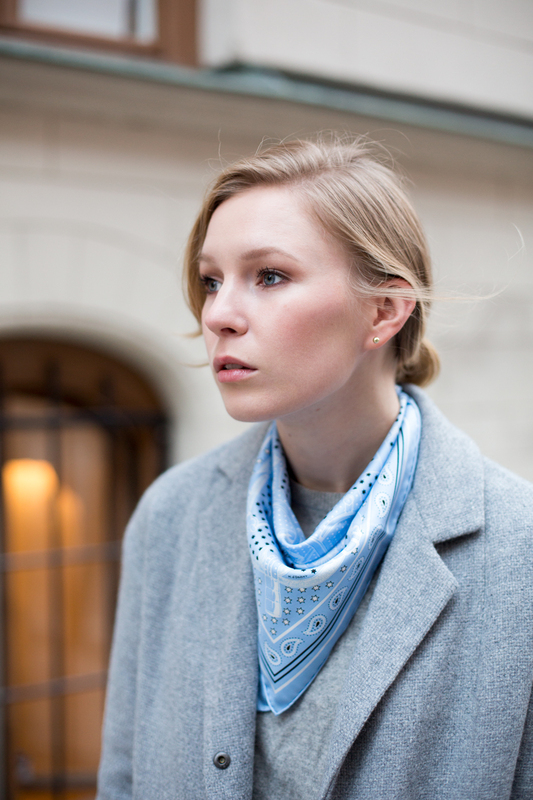 My favorite is this pale blue silk dream from Hermès, but really, any bright scarf will do the trick! SCARF Hermès. SUNGLASSES Céline (similar here). COATEmerson Fry. CASHMERE KNIT Uniqlo. BAG Céline. PANTS Mango (similar here). BOOTSJimmy Choo.